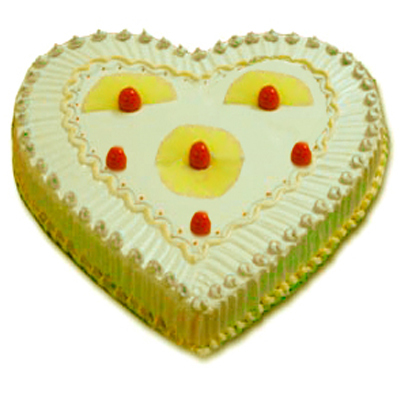 Heart Shape Pineapple Cake 1Kg is trendous cake liked by all. The cake is decorated with cherrys on the top looks beautiful and tempting. Giving this cake for your friends and family members makes them feel good. However if you are late in placing the order for same day delivery, please call on 8008477688 or email at: sales@shop2ap.com .